Welcome To The European Hedgehog Forum! If you need any basic help and advice, ask here. We also have a Wildlife section, and alot more! 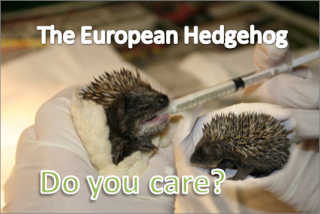 The European Hedgehog Website- Do You Care? For the hedgehog things that don't fit anywhere else! Talk About Anything- Within Reason! Let's have a clean laugh! !